Complimentary walks around our wonderful 400 Acre Estate Westport House in there. Enjoy a relaxing and revitalising holiday experience at the award-winning Hotel Westport. It’s a fantastic staycation. 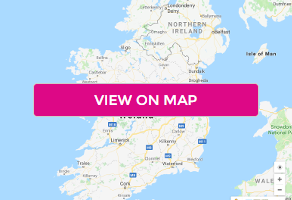 Come West along the Wild Atlantic Way, soaking up all that Westport, Mayo and Connemara has to offer. Senses Spa offers an array of spa and beauty treatments. Ocean Spirit Leisure Centre includes a 20m pool, lounger pool, children’s splash pool, sauna and steam room. Guests can exercise in the gym and make use of the fitness room. The Islands Restaurant at Hotel Westport has 1 AA rosette and serves evening meals, Sunday lunches, and special à la carte dishes, using local and artisan ingredients. It also offers an extensive world wine list. The Maple Bar serves food, as well a selection of drinks, including local craft beers and Irish gins. Gracy’s Pizzeria and Bistro has a most attractive beer garden, located in the old farmyard buildings on the grounds of Westport House and within a 10-minute walk of Hotel Westport. Home to Westport’s original Stone Bake Oven, ensuring freshly made pizzas are the best in the West! Please note there are seasonal opening hours for Gracy's. Westport Town centre is just a 5-minute walk away. Clew Bay is just 5 minutes’ drive from the hotel. It is a 20-minute walk to Westport train station. Ireland West Airport Knock is 56 km from the property. Child policy based on the child/children sharing with two adults: 0-3yrs free of charge / 4-12yrs €25 per child per night / 13-16yrs €35 per child per night / 17+ adult rate - Children occupying their own room incur full adult price. Please note there are seasonal opening hours for Gracy's.